Bunting is for baby's first outings. 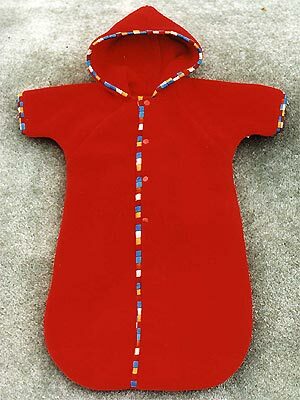 Cozy polar fleece keeps baby snuggly warm, and the detachable crotch strap keeps it from riding up on your little one. The body is a full 20 inches long, so there's plenty of room for wiggling legs. We've now added an opening in the back for the carseat buckle, for safety and comfort.